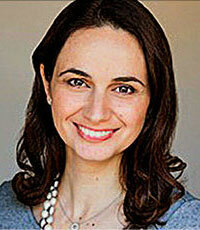 Dr Georgiou is a specialist in Oral Medicine and Pathology. Dr Georgiou qualified in dentistry at the University of Adelaide, before moving to Sydney to undertake specialist training in Oral Medicine and Oral Pathology. She has worked as a Staff Specialist in Oral Medicine at Westmead Centre for Oral Health since 2003, and as a Clinical Lecturer for the University of Sydney. Her areas of interest are mucocutaneous disease, potentially malignant oral conditions, facial pain and burning mouth syndrome, paediatric pathology and patient education.